Whether you’re constructing your dream home or remodeling it, frame-and-panel entry doors are one of the best components you can install. 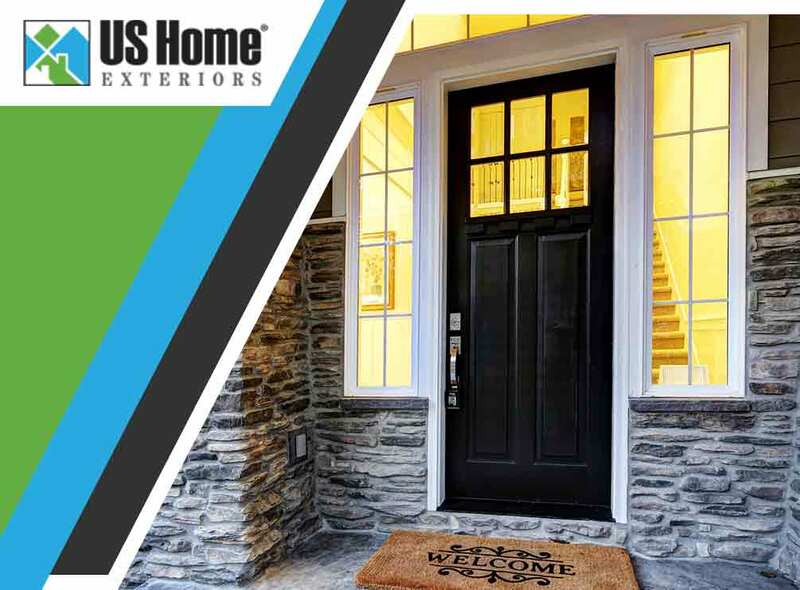 US Home Exteriors, your leading door installation company, discusses their features and key benefits. A frame-and-panel door goes with any home exterior: traditional, modern, classic and even contemporary. And it’s the look that lasts throughout the years, giving your exterior timeless curb appeal. There are various design choices to choose from in terms of color, texture and hardware, meaning you can add a personal touch to your new entry door. Frame-and-panel doors aren’t only good for their looks. They bring impeccable benefits to homeowners, too, such as their structural stability. This means they help stabilize the floor your door is installed on, which allows the panels within the framework to expand and contract depending on the season. We also install high-quality patio doors with the same capability to match the strength of your frame-and-panel entry door. You can choose between having a wood or non-wood frame-and-panel door. This solely depends on the climate in your area. Wood doors are advisable for homes located in humid to regular climate areas while non-wood doors are fit to match fluctuating temperatures. You may also seek the advice of a door professional for assistance. US Home Exteriors brings better home quality to you with our door and window services. We believe each homeowner deserves the best components and services to build their dream home. This is why we offer high-performance patio doors and entry doors to make it happen. Call us today at (336) 222-0176 or (919) 289-5772 or fill out our contact form to request a free project estimate. We proudly serve homeowners in Greensboro and Raleigh, NC.